​Chelsea have reportedly settled on Bournemouth star Callum Wilson as their primary January target as manager Maurizio Sarri looks to add more firepower to his squad for the second half of the season when Chelsea could be competing in as many as four competitions. Rumoured interest in Wilson from Stamford Bridge surfaced earlier this week, with the 26-year-old former Coventry front man now rewarded for his fine form this season with a first ever senior international call-up by England. According to The Sun, Chelsea have been 'priced out' of a potential move for £90m-rated Inter talisman Mauro Icardi and could make a £35m offer for Wilson instead. The club has also apparently been considering Genoa forward Krzysztof Piatek, who leads the Serie A scoring charts with nine goals. However, given that Wilson has scored six Premier League goals in 11 games so far this season, the tabloid notes that his readiness to fit in straight away and hit the ground running is a plus point. 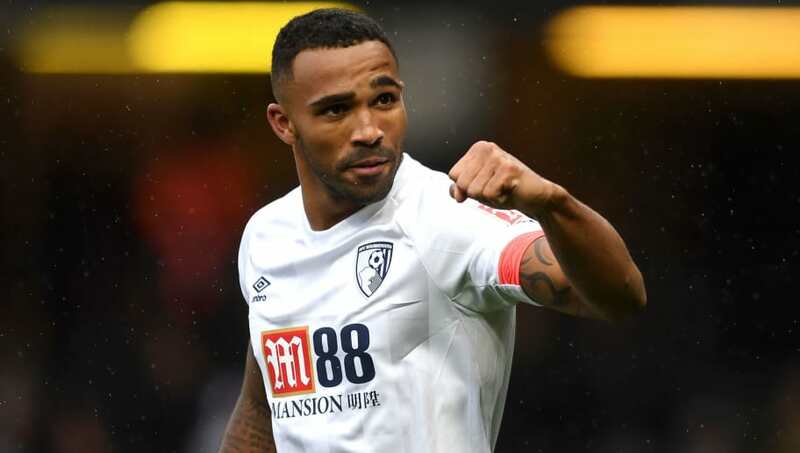 Wilson helped fire Bournemouth to Championship promotion in 2015 after netting 20 times in 45 league games to put the Cherries top of the second tier. He later made a fine start to his top flight career, only to suffer a devastating long-term knee injury. Cruelly, the player later suffered a second serious knee problem that once again temporarily halted his progress. However, he has now been injury-free for just under 13 months and has thankfully flourished as a result. Alvaro Morata has scored four goals in his last four Premier League games for Chelsea, but the Spaniard was rested for Thursday night's Europa League win over BATE Borisov. Olivier Giroud led the line in Belarus instead, with the Frenchman currently Chelsea's only other senior striker.